It's been exceptionally dry this winter. Chapped lips, ashy hands and tight skin are tell tale signs that the dryness in the air is taking its toll. Here are some of my favorite moisturizing products from Avon to help your family combat this harsh winter weather. The bonus sizes are very reasonably priced and last long. Avon Skin So Soft Bath Oil. I use this as a body moisturizer. I mix it in with my regular moisturizer before applying. 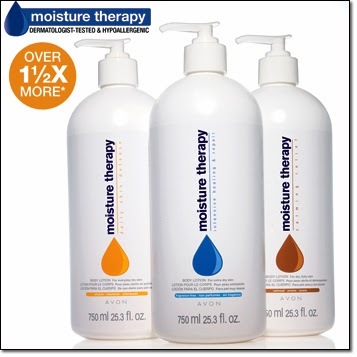 This allows for extra moisture and allows the moisturizer to glide on smoothly. Did you know that the Original formula wards of mosquitos and bugs. That right there is my bug defense. The oatmeal formula is great for itchy skin. My favorite formula is the Vitaimin Treatment formula. I also use the handcream version. I welcome you to shop my Avon store. You will love these products and they are reasonably priced. We also honor returns even if the product is used, and you always get free shipping with a $30 purchase. Right now, I'm also giving a $5 Target gift card with any regular online order of $30 or more.